INDUSTRY and Commerce Minister Mangaliso Ndlovu has said hundreds of people lost their jobs as a result of last week’s violent protests and Bulawayo companies were the worst affected. He said the terror attacks, organised by the MDC-Alliance and civil society groups aligned to it, defeat efforts by Government and industries to revive the economy. In an interview, Minister Ndlovu said the demonstrations send wrong signals to potential investors. “We’re yet to calculate the losses made, but hundreds of people have lost their jobs due to the destruction of business buildings, which are not only affecting individuals, but the entire nation,” he said. millions of dollars was destroyed. “It’s sad and I didn’t expect this from the people of Bulawayo. I made a number of calls and the updates I got shocked me.” Minister Ndlovu said there was no need for aggrieved people to express themselves by engaging in criminal activities. “This has taken us aback,” he said. “Businesspeople in the city suffered huge losses and I wonder where we’re going as a city. Investors who have plans to bring business in Bulawayo might lose interest now because of hooligans who just decide to go into people’s shops, loot and burn buildings. 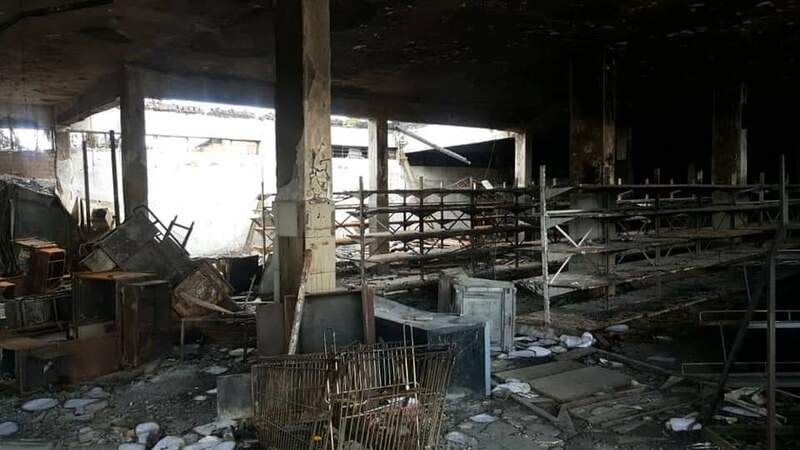 “It’s really sad for industry and the country as a whole.” Minister Ndlovu said it was saddening that people were given space to exercise their rights, but ended looting shops and destroying properties. “In December, I had a meeting with the Bulawayo City Council led by the Mayor, the Minister of State for Bulawayo Provincial Affairs, captains of industry and think tanks in the province to try and come up with strategies to turn around the economy. Minister Ndlovu said it was unfortunate that people had decided to exercise their rights in such a manner, which leads the country nowhere. “We have a burden of rebranding our country and positioning it where it was and I think as a country we did well in terms of respecting human and respecting constitutional rights and giving them a chance to genuinely engage in discussions with the Government,” he said. “Perhaps we over did it because these violent incidents have instilled fear in the population as police officers were also threatened and assaulted, with one of them losing his life. Minister Ndlovu said it was important for people to unite and rebrand the country. He appealed to business people to desist from increasing prices unnecessarily. “I’m appealing to business people to desist from this idea of profiteering,” said Minister Ndlovu. “When they price their goods beyond the reach of the people for whatever reasons, this has a direct risk on their businesses. “As we speak today, kombis and buses have hiked their fares in an unreasonable manner. They increased by almost 300 percent when fuel costs in running a business ordinarily don’t go beyond 40 percent of the total cost.